Paris club refund: We didn’t do anything illegal – NGF – Royal Times of Nigeria. The Nigeria Governors’ Forum on Monday insisted that it has done nothing illegal in the disbursement of the Paris Club loan refund to states. This statement is coming after reports stated that the Economic and Financial Crimes Commission (EFCC) had indicted Senate President, Bukola Saraki, his aides, and Robert Mbonu, a consultant to the NGF of N3.5 billion fraud. Spokesperson of the NGF, Abdulrazaq Barkindo in a statement said Mbonu was hired as a consultant and paid an amount commensurate to the work he did. The statement read, “Our attention has been drawn to publications in the media which are believed to have emanated from the Economic and Financial Crimes Commission, EFCC, about a purported report the anti-graft agency submitted to President Muhammadu Buhari on March 10, 2016. “The report is said to have indicted the Senate President, Dr Bukola Saraki, and imputed illegal dealings in the disbursement of the Paris Club refund payment to states of the federation as handled by the Nigeria Governors’ Forum, NGF. 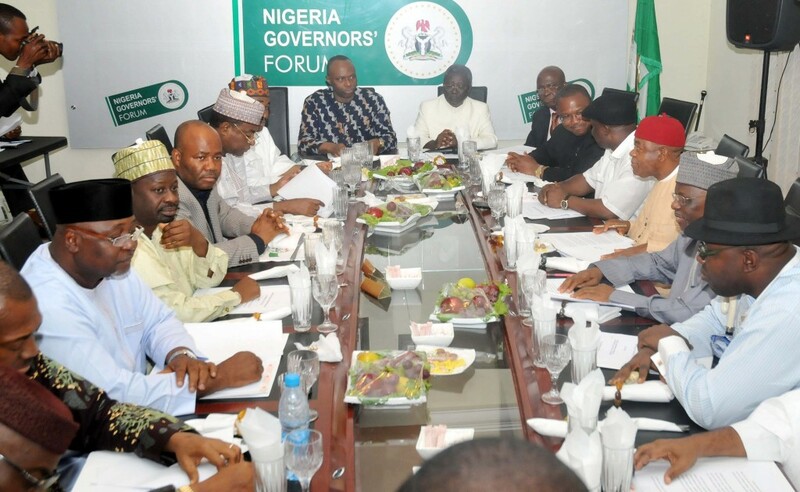 “While the NGF will not want to repeatedly join issues with the EFCC on the disbursement of the first tranche of the Paris Club refund, particularly after its officials have been interrogated by the anti-corruption agency and we provided all necessary and required details and documents regarding disbursement to states, including harmonising the number of consultants and payment made to them, we are constrained to once again state the following for the benefit of members of the public. “It is true that Melrose General Services Limited was one of the consultants that was duly engaged and documented to facilitate the disbursement of the Paris Club refund. The consultant was also paid an amount commensurate to the services it provided, among other numerous consultants that were involved in the process. “The NGF maintains its earlier position that it has done nothing illegal as far as the disbursement of the Paris Club refund to states and the consultants are concerned. The Forum has all necessary approvals to act in the manner it did.